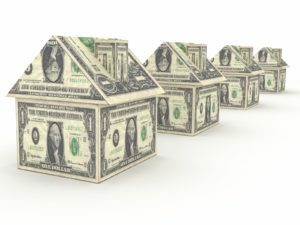 Are Houses Made of Money? What is the best way to find the value of something you own? Property owners across Iowa recently received their new assessed values and many were surprised at the increase and angered by the effect on their taxes. In Iowa, the value of a residential, commercial, industrial, or agricultural property is estimated by the county Assessor every two years. This “assessed value” is used to calculate the amount of property tax an owner must pay. Assessors do not determine the tax rate, just the value of a property. After the value of a property has been set, the property tax rates are determined in a multi-step process that includes budget submissions by each taxing authority such as K-12 schools, cities, counties, and hospitals. Once the budgets are submitted, the county Auditor sets tax rate by dividing the total amount of the budget by the taxable value of all the property in the taxing district. That rate is expressed as dollars per thousand of valuation. The rate is referred to as “dollars per thousand.” For example, if a house was assessed with a value of $90,000 and has a tax rate of $10 per thousand, the tax would be calculated at 90 x $10, or $900 for that taxing authority. At times, some of these taxing authorities seem to think your house is made of money! Switching the burden of proof to the Assessor to prove the valuation is accurate. Adding taxpayer representatives to the conference board that appoints the Assessor. Requiring reassessments of all properties within a classification, not just certain areas. Restricting the use of property tax money to pay for outside counsel during an appeal. Allowing for the reimbursement of expenses to the property owner when an appeal is successful. This bill will help ensure values are not inflated to meet budget targets of the recipients of these tax dollars. Property assessments need to be as accurate as possible and it is good to strengthen the rights of taxpayers, but reform is needed. Iowans for Tax Relief has long supported a realistic limit on the percentage increase in the total dollar amount of property taxes on any property in any year. We support the current law that limits the annual percentage increase in the assessed value of all classes of property. However, a limit on the total dollar amount of property taxes would give taxpayers more protection. One possible alternative would be a law requiring automatic reductions in tax levy rates to offset increases in assessed values so the net dollar increase would be limited.